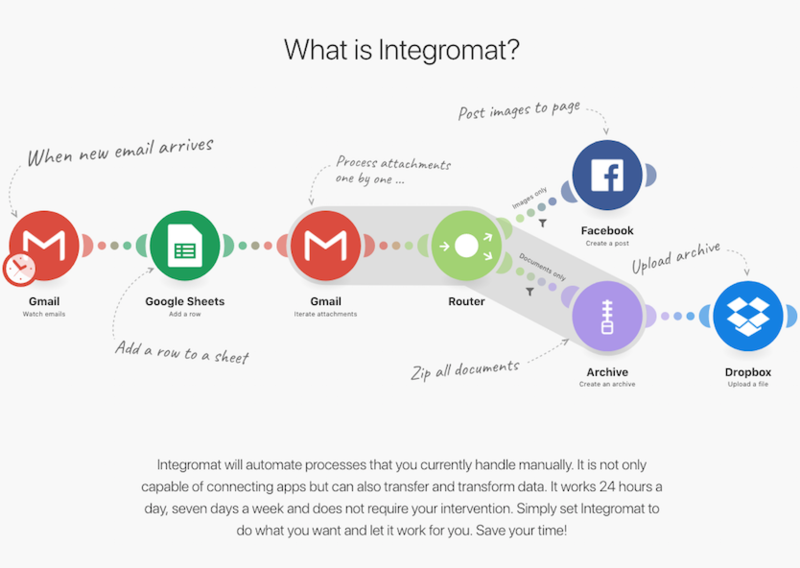 With Integromat you can connect JotForm to your favorite apps, services, or devices. You will no longer need to repeat the same tasks again and again. You just create a scenario that will watch for new data being created in a specified app, and it will automatically trigger actions in one or more other apps. This can be as simple as copying the data or outright transforming the data to be actionable in its destination app. Integromat's drag and drop interface provides an effective tool for setting up scenarios without having any programming skills. Integromat offers very powerful features, which you won't find anywhere else. This allows you to create very complex and deep integrations, which will make your work with JotForm more effective. For examples of basic integrations, check out our most popular JotForm scenarios.